LG Viatera quartz countertops offer unparalleled quality to any design project. 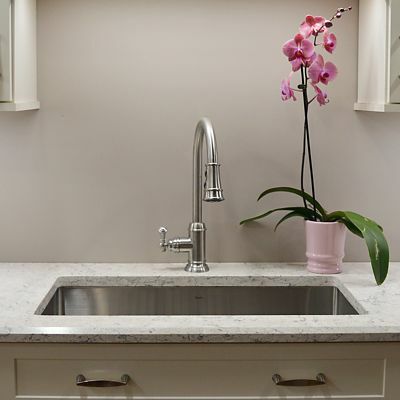 Due to the clarity of the quartz stone, and the patented, advanced technology of polyester resins and colorfast pigments, LG Viatera countertops provide a durable solid surface that is non-porous, and more resistant to heat, scratches, and stains than other products. 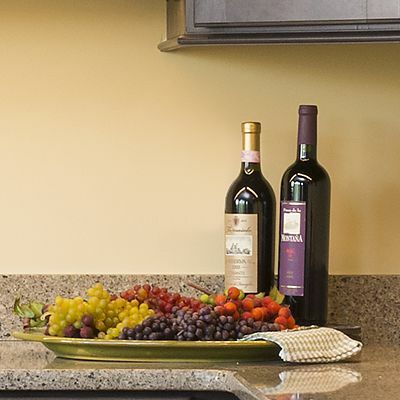 Unlike granite or marble, LG Viatera quartz countertops do not need topical sealing. This allows for lasting beauty with very little maintenance. LG Viatera countertops are available in 22 designer colors. Each are inspired by the raw beauty of the earth and named after stunningly beautiful regions throughout the world. To learn more about LG Viatera countertops, contact us today! These are just a few of the options available from LG Viatera. Notice how LG Viatera can mimic marble veining, granite texture, and more. 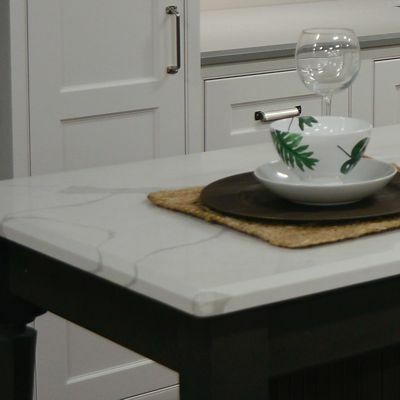 Enjoy the look of stone, with the benefits of quartz.